For me, today was all about preparations . 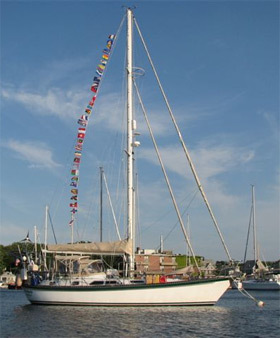 . . for the passage south and for the arrival of Mark’s sister and brother-in-law who will be here on Friday. But before the preparations began, Mark and I both took early morning walks—Mark in Boston and me here on the Cape. It was another totally gorgeous and warm fall day, so Mark walked partway to Mass General from the Hope Lodge this morning. I went walking with friend Jane Woodin. When I returned to Windbird, I started doing an inventory of food onboard so I’ll know what needs to be bought for the upcoming passage south. I then went to Heather and Jed’s to use their kitchen to do a little cooking for this weekend. The day flew by much too quickly with not enough done, but isn’t that the way with all days? Mark spent his whole day at Mass General and then after his last treatment he met up with Alan and Helaine Kanegsberg, our friends from Concord, NH. The three of them took a nice long walk to Government Center and then down to the Boston Commons. They walked across the Commons and back toward Mass General. They had thought about having dinner at Lala Rokh with Persian cuisine or The Hungry I touted as a romantic French bistro, both wonderful restaurants, but were intrigued by a place called The Little Lamb. This place is literally right across the street from the hospital. It features Mongolian food that you cook yourself in Chinese hot pots found on every table. Mark reports that they were very pleased with their choice. At some point tomorrow, I return to Boston. I will spend tomorrow night with Mark and on Friday morning we will clean his apartment and pack his things to move him back home. He still has another week+ of treatments, but his stay in the Hope House ends on Friday. 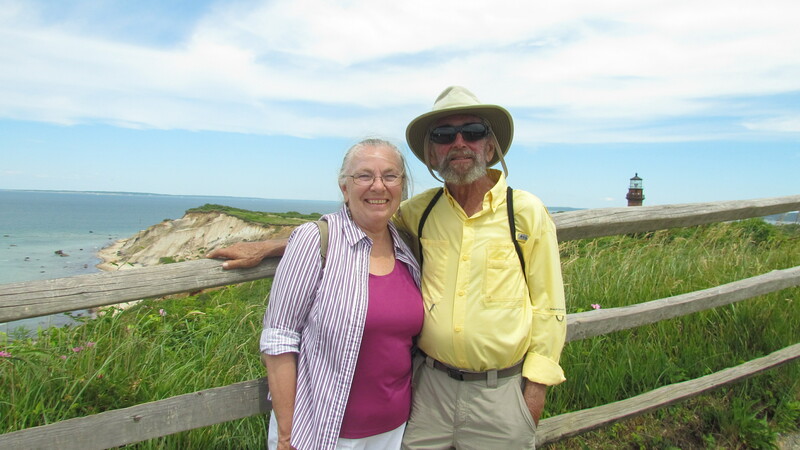 When we get back to the Cape on Friday evening, we will meet up with Mark’s sister Mary Ellen and her husband Lee who are driving up from Florida for a visit over the long Columbus Day weekend. It looks like this lovely weather is going to extend into the weekend, so we will all enjoy. Mark is a happy man tonight. 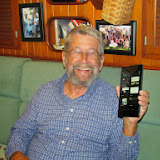 His new Nexus 7 tablet arrived today. Since we are leaving Woods Hole tomorrow, we had Heather and Jed take the car and this left us with no transportation. But the instant Mark got an email message that the tablet was being delivered this afternoon (sooner than expected), he hopped on the bus and headed straight to East Falmouth to pick up it up. I tried to convince him that he would live through the night without it, but that fell on deaf ears. When the old Nexus 7 went flying off the top of the car a couple of weeks ago, it was broken but the cover was fine. Unfortunately the new tablet is a slightly different size, so we’ll have to order a new protective cover . . . and make sure Mark doesn’t leave it on the top of the car again! We spent our morning going to soccer games and taking things to the storage unit between games. So far we have been very fortunate to have all but one soccer Saturday be warm and sunny. There was rain early one Saturday morning, but it was gone by 9 am, so the games were still on. Sam and Jonah are increasing in skill level, but the most important thing is that they are having a great time running up and down that field with good friends. Ollie loves watching and does a great job of dribbling the ball up and down the sidelines. He is constantly on the lookout for anyone with a friendly dog and stops to pet when he finds one, no matter how big or how small. He absolutely LOVES ‘duggies’ and if he can’t have a real one, we are going to have to find a mechanical dog that can walk and bark! I know there are ‘official’ labeled stages of acceptance when one finds out they have cancer, but somehow Mark and I both skipped those stages when he was first diagnosed. I think he is skipping them again, but this time I am going through something between grief and anger. But with each hour that passes, I begin to accept. The wonderfully supportive emails and calls from friends and family surely help. And tonight we launched into our characteristic research mode trying to find out everything we can. The main problem is that we don’t have the information we need. We will get that next week, so in the meantime, we research and try our best to piece together the best case scenario. Today both Mark and I went to Heather and Jed’s for the day. Mark spent a great deal of time doing his public radio consulting work and I spent the day with Ollie. But it was great to have Granddad there to pitch in with Ollie when I needed to get cooking or laundry projects done. I’ve said it many times before, but I’ll say it again. Ollie is just the easiest-going, sweetest little guy in the whole world. Unfortunately, part of him is starting into the ‘terrible twos’ stage, but I try to ignore that and focus on the positive. After his nap, Mark took him to pick Sam up from school. When they got home, we had an after-school snack, practiced the week’s spelling words for a Friday test, and then headed to the cranberry bogs to try and forage for cranberries left-over from the harvest last week. When we got to the bogs, Sam wanted to dive right into the waterway that runs between the fields to collect cranberries, but we restrained him and foraged in the matted vegetation along the edges of the waterways instead. That is, we did this until Heather and Jed arrived with Jonah. At that point, Jed jumped the ‘ditch’ and started hand-picking cranberries from the field. Sam and Jonah wanted to join him but there was no way to get them across the waterway. We weren’t even sure Jed could get back across, but he did, and we came home with the equivalent of three bags of cranberries. We didn’t really care how many cranberries we harvested. We just wanted the boys to experience gathering. Tomorrow Mark and I will return to Heather and Jed’s to spend the day with Ollie. Mark will do more consulting work and Ollie and I will go to the public library for a tot’s reading time. Sometime this weekend we will either move back out onto a mooring so we are not paying a daily dock fee or we will move the boat to Fiddler’s Cove for the winter. The problem is getting there. 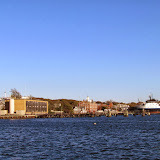 We have to go through the Woods Hole cut at slack tide and enter Fiddler’s Cove at absolute high tide. And the timing that makes those two things possible is tricky. Then we have to add in the wind factor. And that makes it even trickier. But we are paying $30 a day to be here on this dock and that is more than we can afford. 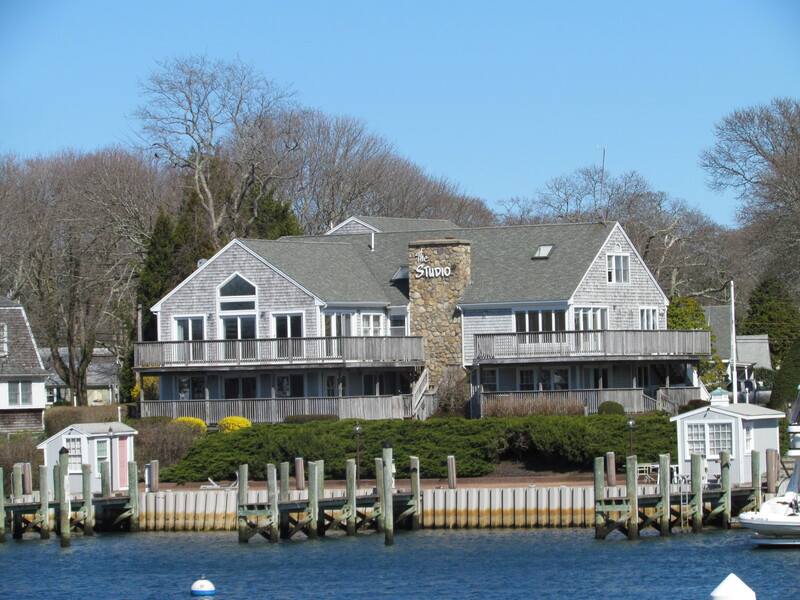 So sometime SOON we will either move back out onto a mooring in Eel Pond or head to Fiddler’s Cove. As with any ‘passage’, it will all depend on the weather. Day 347, Year 8: Strike that. Reverse it. “We have so much time and so little to see. Wait a minute. Strike that. Reserve it.” This is one of my favorite quotes from the Willy Wonka and the Chocolate Factory movie from 1971. And it fits our situation right now. Yesterday we were headed to Puerto Rico for the winter. Today we had to scrap that plan and make new plans for staying here. Mark met with his oncologist this morning to review the results of yesterday’s CT scan. Unfortunately his cancer has returned. They found a small growth in the fatty tissue of the abdominal cavity. This will mean either surgery or chemo or both, but whatever, we will be staying right here for the winter. Well, we won’t be staying here in Eel Pond. Hopefully we will be able to return to Fiddler’s Cove where we spent the winter of 2011-2012. Mark has to have a PET scan next Tuesday and then the surgeon and oncologist will decide on a plan of action. They are also getting his colon cancer tumor out of cold storage and doing some genetic testing to see if it has a specific marker that would make it react to specific drugs. Mark couldn’t believe they keep all removed tumors in cold storage, but they do. Mark amazes me with his positive outlook even though he is tremendously disappointed that he can’t sail south. He is definitely not looking forward to a cold winter, but he’s ready to battle this thing.